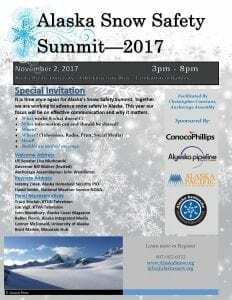 Keynote Address: Jeremy Zidek, State of Alaska Homeland Security, Public Information Officer (PIO) and David Snider, National Weather and Atmospheric Administration PIO. State and Federal Agencies, Organizations, Guides, Operators, Snow Practitioners, General Public Representatives. What happens when a weather event occurs or there is an avalanche emergency incident that results in someone calling 911? What resources are available? How and when should information be disseminated to the public? Defining a unified message.